Hoya archboldiana is in Flower Again! 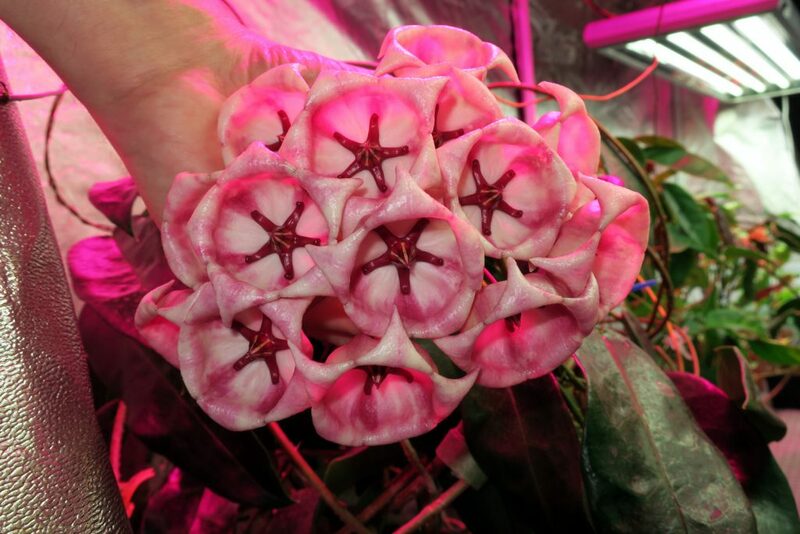 Hoya archboldiana is not a very hard Hoya to flower providing you use a grow tent and artificial lighting turned on for approximately 12-14 hours a day. Here is a photo that I snapped this week. Please excuse the reddish tint; it is from the LED lighting under which it grows. This entry was posted in Hoyas on November 2, 2016 by Doug.